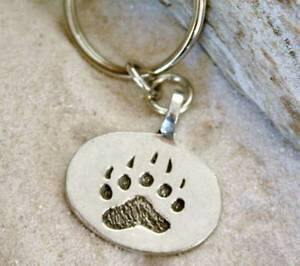 This unique Bear Claw Symbol is handcast and hand-finished in solid American Pewter with a shiny finish resembling antiqued sterling silver. The Key Ring is the classic split ring and measures 1 1/4 inch or 32mm. Length with loop: 1 3/8"